BREMEN – Estel H. Divine, 94, of Bremen, died Friday, January 24, 2014 at his residence in Bremen. He was born November 15, 1919 in Muhlenberg County. He rode his horse (Blaze) to the fair in Nashville, TN. He joined the Civil Conservation Camp (CCC) at age 16 where he worked in several states including Wyoming, Oregon and Alaska; he managed the fairgrounds at Central City for several years, was a member of Mt. Pisgah Baptist Church where he served as a deacon, Sunday school teacher, was active with the youth and drove the church bus. 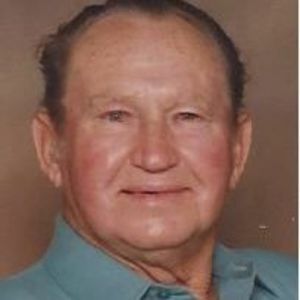 He was a 4 H youth leader for many years, called square dancing most Saturday nights, and was a charter member of the B & T (Break & Train) Saddle Club in the Bremen area and was a contractor in Muhlenberg and surrounding counties.. He enjoyed his time on the farm raising cattle and a garden, scuba diving & riding horses. He is preceded in death by his wife of 67 years, Betty Martine Divine, his parents, Hosea & Bertha Divine, a grandson, Christopher Snodgrass, granddaughter, Marna Snodgrass, great granddaughter, Emily Casebier, sons in law, Eddie Snodgrass, Don Peach and Lane Casebier, brothers J. T. Divine and Charlie Divine and sisters, Renova Divine, Willie Mercer and Helen Jordan. Survivors include a son, Steve (Bonnie) Divine, three daughters, Reda Peach, Cheryl Snodgrass & Melinda (David) Wilcox, grandchildren, Michael (Tiffany) Divine, Kathy (Dino) Lanter, Matthew (Christina) Divine, Monte (Lynnette) Casebier, Marty (Megan) Casebier, Micah (Sabrina) Casebier, Chad (Stephanie) Snodgrass, Charity (Todd) Franklin, Kristin (Ben) Duvall, Michaela Wilcox and Dawson Wilcox. Twenty five great grandchildren, two brothers, Ned Divine and Robert Divine, a sister, Edith Noffsinger and many, many loving nieces and nephews. Funeral services will be held at 1:00 PM, Monday, January 27, 2014 at Tucker Funeral Home in Central City conducted by Rev. Bill Bursztynski with burial to follow in the Mt. Pisgah Cemetery in Bremen. Visitation will be after 5:00 PM Sunday and after 8:00 AM Monday at the funeral home. Expressions of sympathy can take form of donations to Mt. Pisgah Baptist Church Cemetery Fund, 661 Mt. Pisgah Road, Bremen, KY 42325 or Divine Foundation Scholarship Fund, c/o Mr. Dal Divine, 15562 School House Road, Bunker Hill , IL. 62014 or to the Gideons International. Envelopes will be available at the funeral home. The beautiful and interactive Eternal Tribute tells Estel's life story the way it deserves to be told in words, pictures and video. It says in the Bible, that "There were giant in the earth, in those days." Uncle Estel was one of those giants! I'm not really from Alaska, I'm from Missouri. 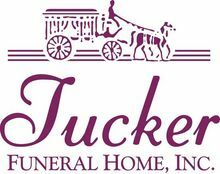 But the Tucker Funeral Home's digital state selector software was malfunctioning and wouldn't go below Louisiana. I thought the world of Estel. My thoughts and prayers are with his family. Pop was always the loudest, funniest, and most lovable guy in the room. He was the life of everyroom, even on solemn days he made it all better with just a little chatter. He was an amazing man, started work at a young age, and some say he never stopped working. I look up to this man and think about him everyday, he is now looking over me, and it makes me feel safer to know my papa is always going to be with me and at his best. we will miss you, but will always love you. Uncle Estil always had time for me during the summers when I'm sure I was more of a burden than help but he never objected to be spending time with him. I love you Uncle Estil!! One of my fondest memory's of Estel was we set together in the choir at Mt. Pisgah. He told me he couldn't hear to well and for me to punch him if they call on him to pray. Well I accidentally punch him while the pastor was preaching and Estel stood up and started praying. Estel did a lot for his community and I appreciated him for being an example for others to follow. Some of my fondest memories as a child was the opportunity to ride horses to church with Estil on Sunday Mornings. He used to ride up to the ole home place of Everett and Avanell Bruce and pick us up. He was a fine Christian man who was a great role model and he will be dearly missed here on this earth. But Thank God Almighty that I'll get to see him again along with my own grandparents one fine morning. Prayers and condolences to the family.